Kali is the heir to the sky, several floating continents above earth. When she is crowned, she vows to help her people thrive. When Kali falls off the edge of her kingdom, her dreams are far from dashed, promising to find a way to return from the monster-ridden earth. She requests the help of Griffin, a monster hunter, to guide her back home. Weeks pass; Kali begins to uncover the truth of the floating continents and realizes she didn’t fall off the edge, rather she was pushed off it. Amanda Sun, author of the Ink series, returns with a fantasy which will pull at your heartstrings. Heir to the Sky is a gorgeous book, filled with wonderful descriptions of fantastical creatures and a romance that will knock your socks off. Sun’s writing is as beautiful as ever, capturing the beauty and cruelty of her world. The world building is superb. However, it does lack an origin story. Readers will still be left with thousands of questions. Starting with, why is earth suddenly infected with monsters? Something I’ve found in all of Sun’s characters, including even her Ink series, is that the protagonist lacks character. In order to get wonderful descriptions of worlds and gorgeous writing about monster wars, readers will certainly miss the depth in Kali, Heir to the Sky’s main character. For both an heir and protagonist, she is a bit dense. The reader has long ago predicted events that Kali, herself, never saw coming. This either makes the book predictable or Kali dense, or both. The romance is unexpected from the rest of the predictable plot. It is the sweet romance which keeps people reading. Griffin was a magnificent character and I’m wishing for a spin-off book in his perspective. The monster hunter, Griffin, sounds much more interesting and unpredictable than an heir to a kingdom. He has had this whole life on this unsafe earth and readers will want to definitely know more about him. Despite being predictable, Heir to the Sky was a great book. It held that spark of freshness, where the protagonist is experiencing a whole new world for the very first time. Similar to the plot of Soundless by Richelle Mead, Heir to the Sky introduces a new dystopia which is just beginning to grow roots. 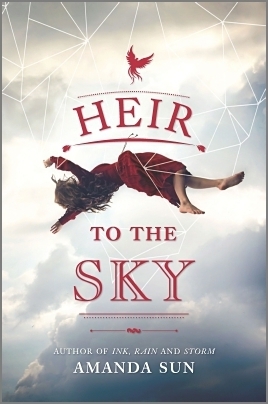 Overall, Amanda Sun’s Heir to the Sky was beautifully-written and wonderfully romantic. Fans of Soundless by Richelle Mead and Sun’s previous series will be sure to fall off the edge of the floating continents to experience the journey with Kali and Griffin. Ooh nice! I've had this one in my pile for awhile! Pretty sure at least! Lol! Confusing its cover with The Accident Season, but I know I have both of them! Lol! It sounded interesting which is why I held onto it. Sad to hear there are some character development issues with our heroine. But glad to hear that it was still a pretty decent read over all! Nice review! Hi Jeanna! First of all, I just have to say that I LOVE your blog. Seriously, it's so lovely. 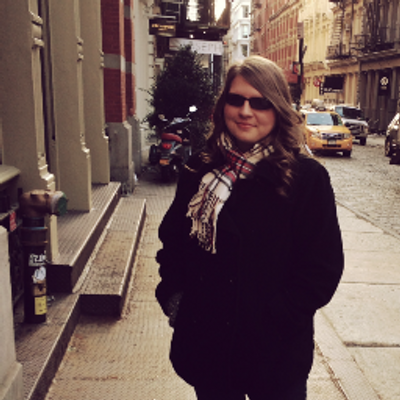 I've followed you on Bloglovin' and I can't wait to check out more posts. Awesome review and (once again) beautiful blog!